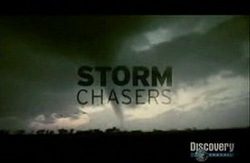 Storm Chasers on the Discovery Channel - the new season starts in October. I was recently on the Discovery Channel’s website wondering when the next season of Storm Chasers was going to air. In looking around I found one of the show’s chasers, the operator of TornadoVideos.net, had compiled his own top 10 tornado videos. These are absolutely incredible! For those that have never seen Storm Chasers, be sure to keep an eye out for it on Discovery when the next season starts in October. The upcoming season will feature lots of video from the record setting tornado season that just finished as well as the team’s new and improved Tornado Intercept Vehicle – a highly modified truck that they drive straight into tornadoes! This entry was posted on Thursday, August 21st, 2008 at 4:17pm MDT and is filed under Thornton Weather. You can follow any responses to this entry through the RSS 2.0 feed. You can skip to the end and leave a response. Pinging is currently not allowed. Absolutely incredible video. I am very much looking forward to the upcoming season!